This renovated 6 bedroom lake-front home is ideal for one large family or families who vacation together. Fix delicious meals in the remodeled kitchen. 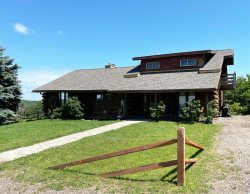 There is an open concept dining area/living room with gas fireplace, TV/DVD, stereo/CD player, wireless internet, central A/C, and washer/dryer. Enjoy the spacious deck overlooking beautiful Lake Delton while cooking on the charcoal grill. Have fun swimming, boating, fishing or relaxing on your pier. All this just minutes from the Wisconsin Dells attractions. 12 unlimited Noah's Ark passes included with stay from Memorial Day - Labor Day!! Excellent staff. They have all been there for many years and are always consistent with the service they provide. They always make us feel welcome! We already booked this same property for next year. Marci was very responsive to all of my questions. Our stay was awesome, would definitely come back. The house was a perfect place to stay and the fact that it was right on Lake Delton made it better.